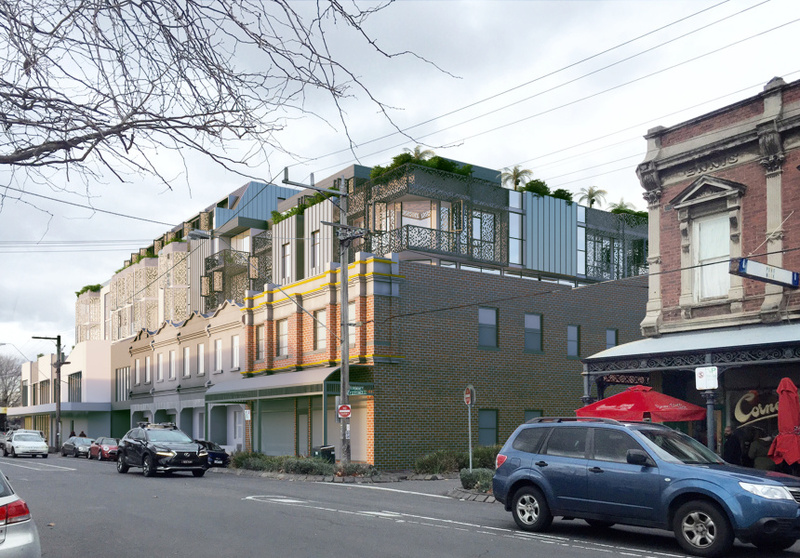 The owners of the North Fitzroy institution have dramatic plans for the site: a new supermarket and 89 apartments. Designs proposed by Peddle Thorp Architects. 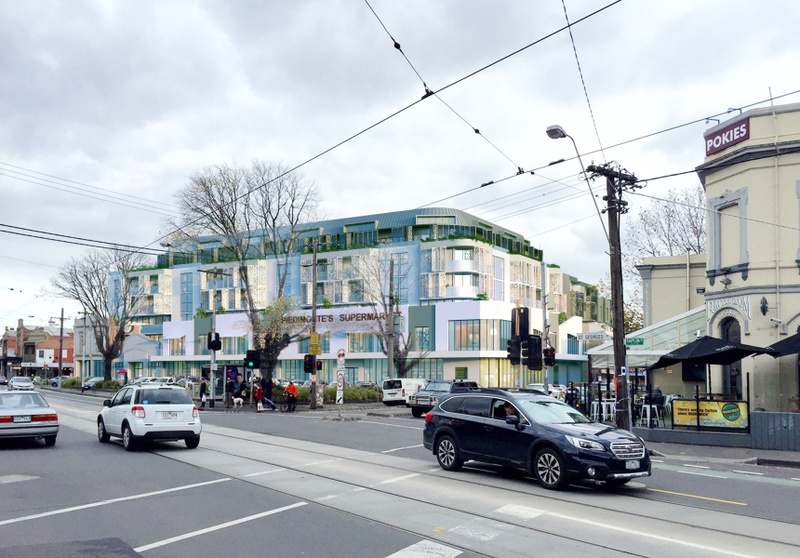 North Fitzroy’s almost 60-year-old European supermarket, Piedimonte’s, will be knocked down as part of a $100 million redevelopment if an August submission by owners Sam and Mal Piedimonte is approved. The pair has proposed demolishing the existing building to make way for a new supermarket and 89 apartments. The Piedimontes have worked with Peddle Thorp Architects and heritage consultant Peter Lovell on the design, which includes a five storey and seven-storey building linked by a second-floor walkway. The L-shaped site would cover 27 to 45 Best Street and 102 to 114 Scotchmer Street, encompassing the current Piedimonte’s site and several adjacent shops the family also owns. While the facades of heritage buildings along the strip would be maintained, the supermarket’s facade – with its famous bold red lettering – is not currently heritage listed. “The idea is really to reinstate [Piedimonte’s] facade,” says Peddle Thorp director Peter Brook. “It would be possible to keep it but we’re not aware of any heritage reason to do that. The new supermarket would feature a mezzanine level similar to the existing building’s; a new bottle shop; and more room for storage and operations. The site would be double the size of the current complex. The apartment plans include 23 one-bedders, 62 two-bedders and four three-bedders. A three-level basement car park would have room for 164 cars and 86 bicycles, reducing the “impact on the surrounding parking problems in the resident area,” Brook says. “The planning, the detail and the operation of the supermarket would be upgraded in almost every respect,” he says. “They want to do something that reinforces the character of the area, which I suppose is the debate that will unfold from here. The supermarket began as a small deli in 1958, run by Sam and Mal Piedimonte’s late mother Anna. It’s been open seven days a week ever since, its shelves packed full of packets of rigatoni, tubs of olives, kilos of meat and fresh produce – regulars know the seasonal leaning tower of Christmas panettone well. “We’re in a process of consulting the local community, hearing people’s opinions, and we are going to absorb those opinions in and develop the design as a result of that consultation,” Brook says. In the meantime, prepare to say arrivederci to the store’s orange ‘70s cafe chairs and salami-like floor tiles. The supermarket plans to remain open during any construction period.